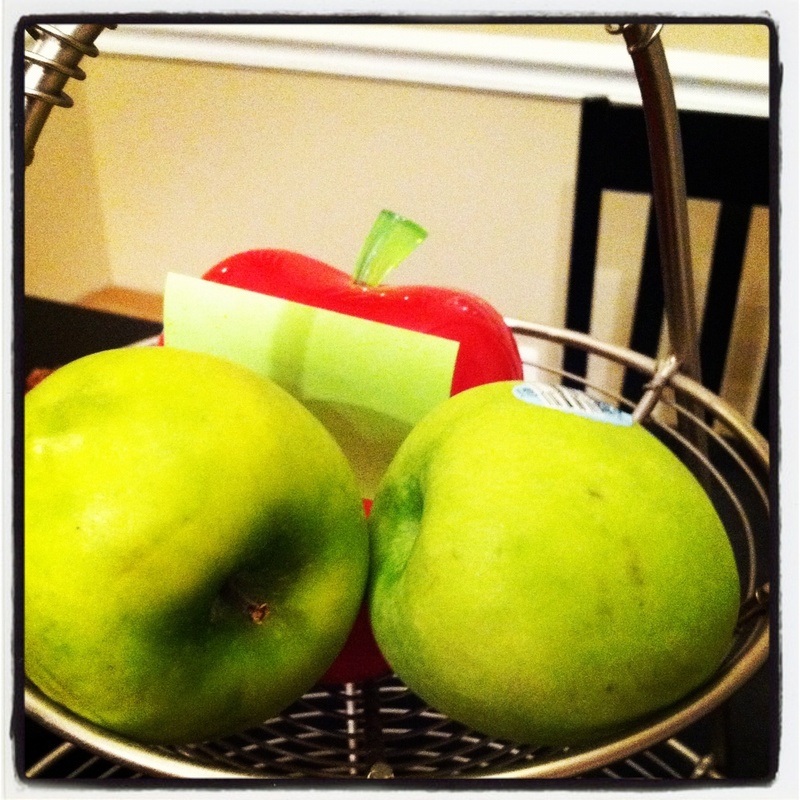 An Apple a Day… Makes 3M Happy! 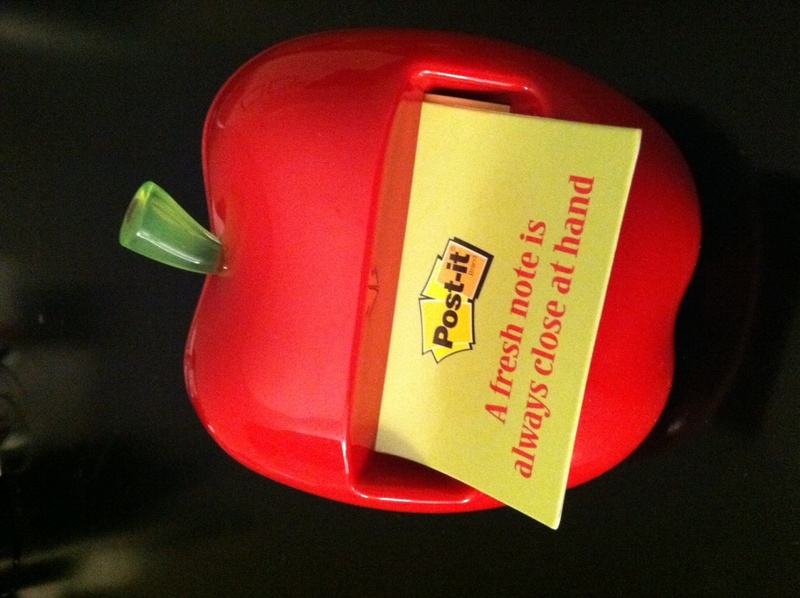 No, the answer is not either of the green apples, it’s the Red Post-It® Note Apple Dispenser. 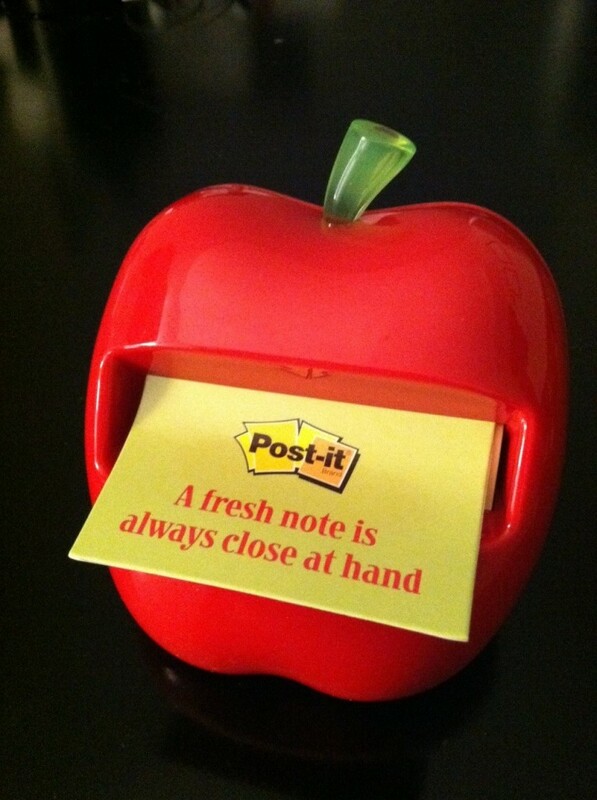 I’m not quite sure how you weren’t able to get that correct, but nevertheless, let’s talk about this new dispenser. 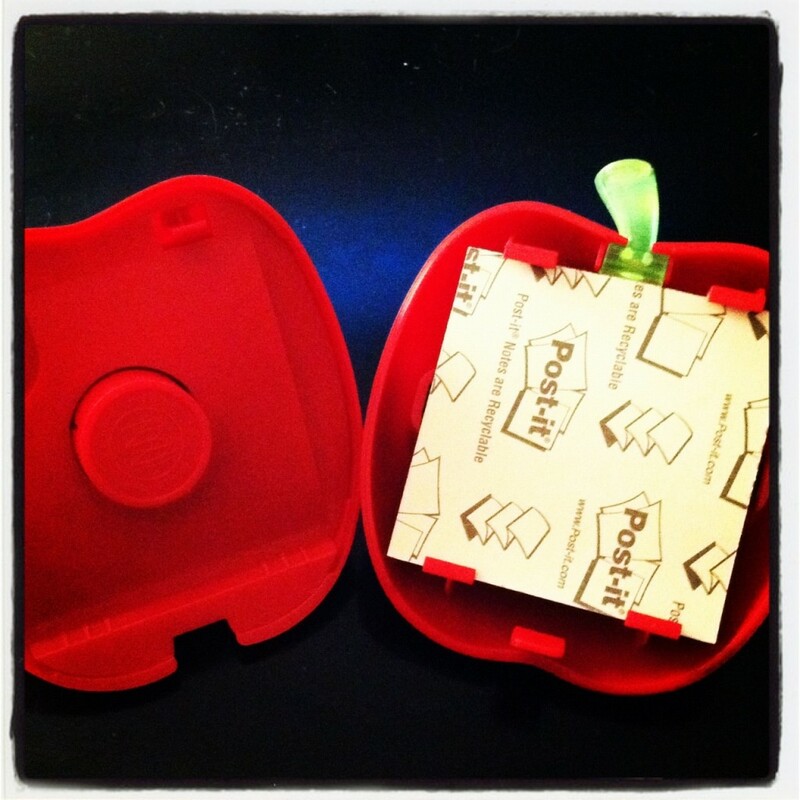 When you slice into this new dispenser, the first thing you’ll notice is there are no seeds! This is a seedless Apple. 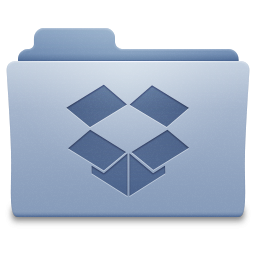 Compatible with our standard 3×3 Pop-up note pads, add THIS to your cart, next time you’re placing that special order. The Motley Guy approves this message. How can I score that sweet Vera Bradley Duffel Travel bag?